My short vacation this year was spent in far Northern California, hiking, trekking through caverns and climbing up and down hilly beaches of the Mt. Shasta region with my son, my best friend and her son. At the end of the day we retired to our eco hotel for a bit of luxury …ahhhh. While the whole concept of an eco hotel conjures up hefty price tags, The Gaia Anderson was extremely reasonable ($125 a night) and while small,it sports an on-site organic restaurant, a spa and pool and comfy rooms. The boys enjoyed swimming in the saline filter pool…a concept I’ve been learning to like a lot since I learned about the hazards of chlorine. I enjoyed walks through the pesticide free, native plant stocked gardens. And my friend raved about the organic cotton comforters on each bed to the point where she became the subject of six-year-old ridicule. Since none of us had ever stayed at an eco hotel before, it became a game for us to try to find all of the environmentally friendly points. The boys located the recycling bins in each room and the ‘Do Not Disturb” sign made from recyclable and reusable foam. My friend pulled back the organic sheets and mattress to uncover beds from Cost Plus made from sustainably harvested wood. We noted the dispensers in each shower for shampoo, conditioner and body wash, though since they weren’t labeled we not really sure if we washed our hair with soap or shampoo…maybe there’s not really a difference. But we did recognize the large refillable containers (no small or often “take home” size containers here) of EO lotion and hand soap on each counter…yum. The organic continental breakfast in the lobby was a bit disappointing – organic, yes, well- balanced not really since it consisted primarily of organic pastries. But with the on-site organic restaurant opening next month, I’m guessing the offerings will expand. I have to admit, we liked this hotel so much, though we drove 30 minutes north to get a bit closer to the attractions of Mt. 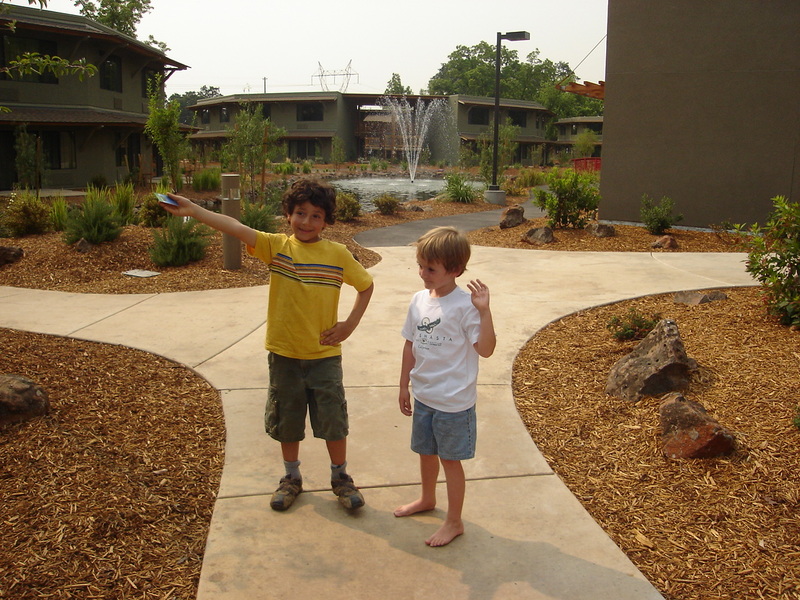 Shasta, intending to spend a few days at a different hotel… after one night we returned to the Gaia. And the boys proclaimed, “Ah…home sweet home” as we entered the courtyard. My friend and I had to agree. Take a appear at the hotel’s star rating as this will give you an concept of what it’s like. Also, reviews can be extremely helpful in making your choice. Just make certain that you book a room ahead as other vacationers might also be after your hotel choice.